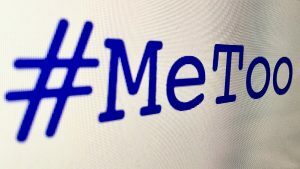 The #MeToo movement has sparked people, usually women but not always, to come forward and name names of creators of children’s books whose behavior is unacceptable. Libraries discussed what to do with the books by these authors and illustrators in a May ALSC blog post on this very topic. It was also discussed by the ALSC Collection Management Discussion Group at ALA Annual in New Orleans. The consensus from both conversations was that as libraries we carry all sorts of materials that are written by all sorts of people and we shouldn’t decide for our customers what they can have access to or read based simply on the behavior of the author or illustrator. So, like me, you may be wondering what can I do professionally to make a difference? How can I let publishers know that I’m not okay with this behavior from the authors and illustrators of children’s books? This led me to thinking about how we can support women in the children’s book profession. I’m not calling for a boycott of male authors. However, it is a great opportunity to make books by women more accessible to all readers, female and male. So, let’s start putting more of our dollars to work helping even up the power. Increasing the number of women authors and illustrators invited into our libraries and schools and pay them what they are worth as these women are often paid less than their male counterparts. Purchasing books by women authors and illustrators for our school and public libraries and encourage all kids to check out these books so they can see that women write fantastic fantasy, science fiction, mystery, adventure, and so much more. Making sure to include the works of women authors and illustrators in your mock awards programs each year. Women can get overlooked and there are some amazingly talented women writers and artists that deserve our recognition. Looking for more inspiration? Check out Kidlit Women. Founded by Grace Lin this Facebook page, website, and podcast are a wonderful way to listen to women writers and illustrators talk about the issues they face. Many of these women creators joined together to write tons of Facebook blog posts during Women’s History Month – on all sorts of topics. This project is driven by finding solutions to the problems, not just complaining about them, which I love. We are part of the problem when we tell kids that a book is for boys or a book is for girls (yes, my librarian and teacher friends, we are guilty of this). We can be part of the solution by simply offering a boy 3 book choices and making sure one of them includes a girl main character. When offering these books, or any book suggestion to kids, talk about what the book is about rather than the gender of the characters. You can get a reader hooked by talking about the cool adventures rather than the fact there is a girl princess in the story. Give a listen here or read the transcripts on the website. Get ready to feel rejuvenated and inspired. Only a few podcasts so far, but more smart and informed conversations are sure to come. 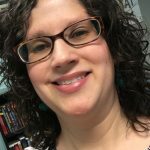 Mary Schreiber co-chairs the ALSC Public Awareness Committee and she is the Youth Collection Development Specialist at Cuyahoga County Public Library. She can be reached at: mschreiber@cuyahogalibrary.org. This post addresses the following ALSC Core Competencies: IV. Knowledge, Curation, and Management of Materials and V. Outreach and Advocacy.